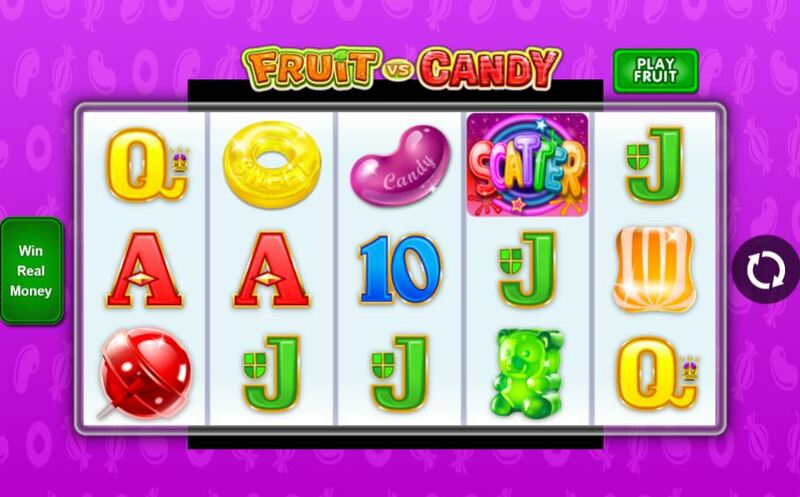 Fruit Vs candy slot has elements of Lost Vegas slot because it is an exact clone! 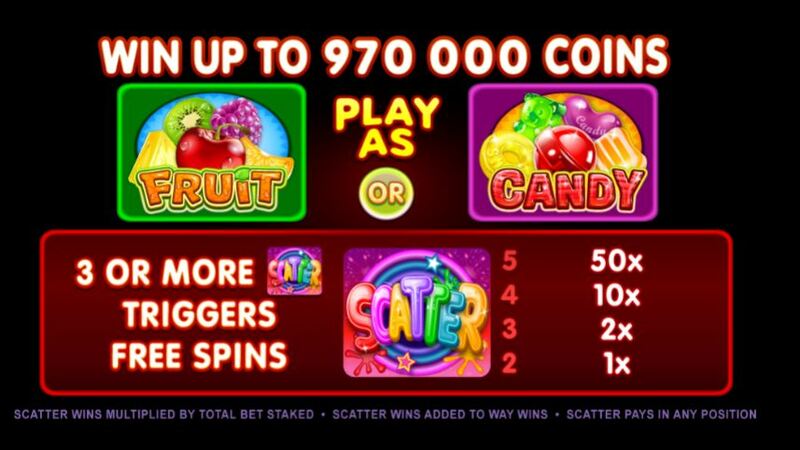 There are 243 ways over 5 reels and upon opening the game you need to select Fruit or Candy! This is important as you can choose your variance by electing to play as a ‘Fruit’ (lower) and Candy’ (higher). 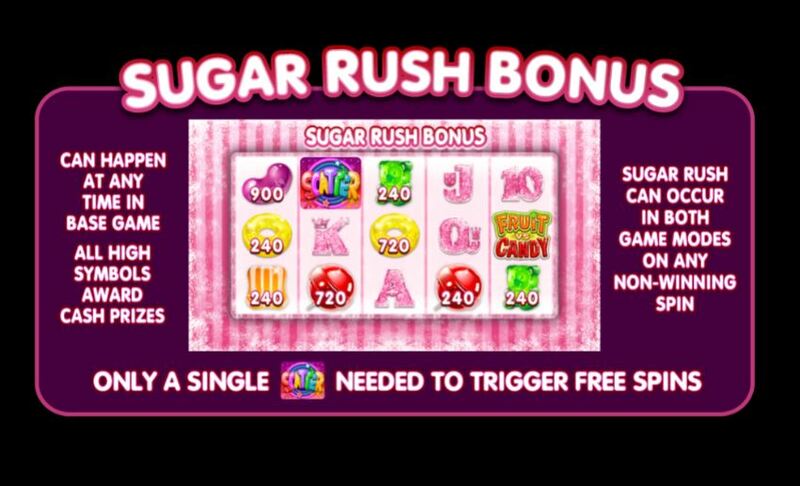 There is a random Sugar Rush Bonus which is the same as the ‘Blackout Bonus in Lost Vegas or the ‘T-800 Vision’ in Terminator 2 whereby all characters will award cash prizes and only 1 scatter is needed to trigger free spins as opposed to the usual 3. You can also have a ‘Goodie Bag’ appear on any spin which awards a cash prize! 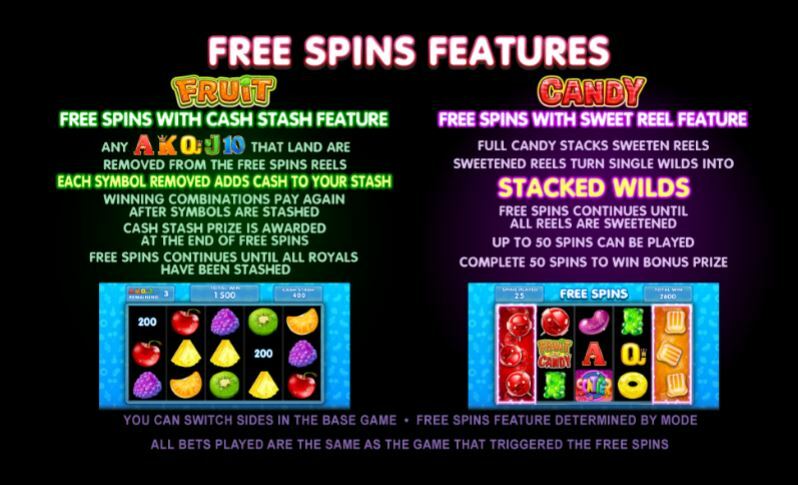 There are Wilds on all reels on the Fruit Vs Candy slot and if you chose Fruit Mode you get unlimited free games where all card symbols are removed from the reels when they appear and saved until all cards are stashed and the spins end. You are awarded a cash total for each card symbol as it is used. If taking the Candy spins you get the Candies appearing stacked which are also Wild and the spins continue until you have had each of the reels land with a stacked Candy or 50 spins have occurred. You get a special bonus if you last the maximum 50 spins. RTP is 96.15%.